This Sunday, March 4, is the annual MS Climb to the Top NYC event at Rockefeller Center. 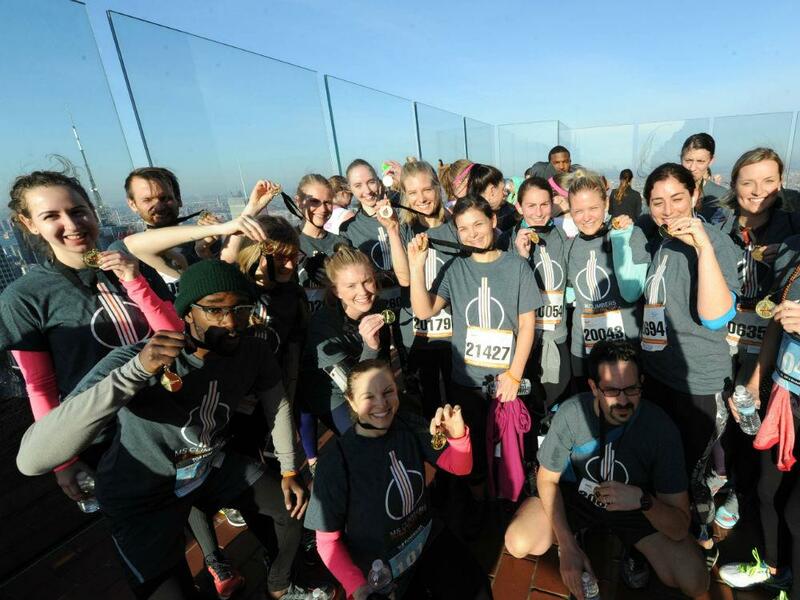 To raise funds for the National Multiple Sclerosis Society, scores of teams and indivduals will climb 66 flights (1,215 stairs) all the way from the bottom of 30 Rock to the Top of the Rock observation deck between 6am and 10am Sunday morning. It's a challenging, exhilarating vertical 5K that's immensely rewarding, not only for the workout and the skyline view, but for the participation in helping 12,000 people in New York State who are affected by MS.
Advance registration is open through March 2, and if you can't be there, it's possible to get involved as a "virtual participant" too. Find out more information and register here.